If you grew up as I did in Albany, N.Y., chances are you got to see a legend in the making with the New York Yankees Double-A, Eastern League affiliate in 1994. When I first saw the name Mariano Rivera, it was on a malfunctioning Miller High Life scoreboard at Heritage Park. Rivera was a starting pitcher for the Albany-Colonie Yankees. The next time we see his name, it will be etched in gold, immortalized in Cooperstown. 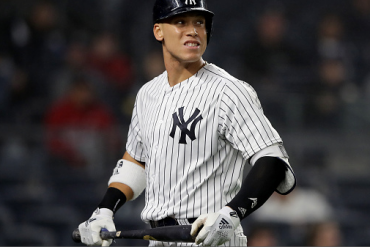 When we last him in his last game at Yankee Stadium, Mo’s final recorded out, his fourth of the game and second of the ninth inning, was recorded by No. 24, second baseman Robinson Cano, named for, playing the same position as and wearing the inverse number of Jackie Robinson. 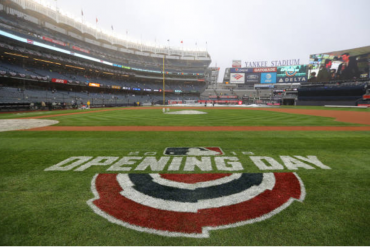 The first out Rivera recorded at the old Yankee Stadium was on a fly out to Paul O’Neill in right, by No. 24 Rickey Henderson. 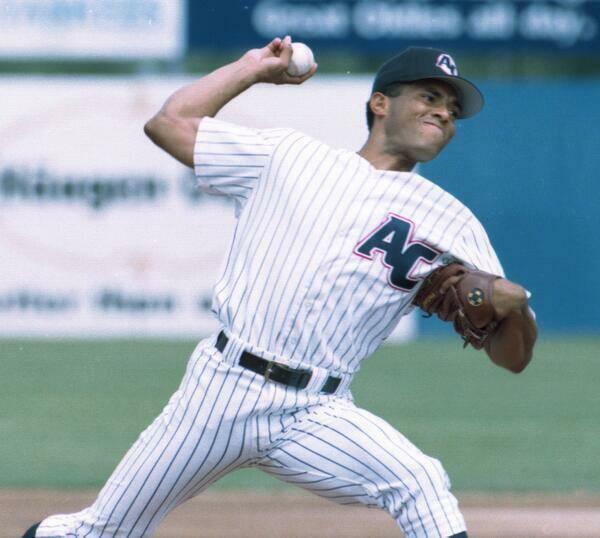 Also fittingly, Rivera was removed by his 1994 Albany teammates, teammates for five championships in New York, Derek Jeter, and Andy Pettitte. On that mound, 56 years of baseball between them. Much like Joe DiMaggio’s 56-game hitting streak in 1941, a run by teammates which we may never see again. Rivera worked a flawless 1 1.3 innings against the Tampa Bay Rays. Appropriately pitching in both the eighth and ninth innings. Then Rivera was relieved by Matt Daley, who was born in Flushing, NY. In Mo’s major-league debut at California, he was relieved by Bob MacDonald, whose career ended in Flushing, pitching for the New York Mets in 1996. 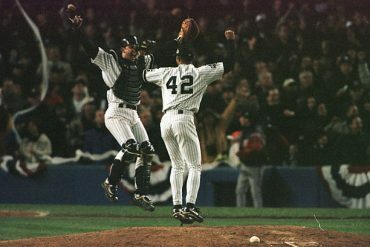 During Rivera’s first outing at Yankee Stadium in 1995, a game the Yankees lost, Dennis Eckersley recorded save number 302. Mo finished his career with 350 more saves than Eck. 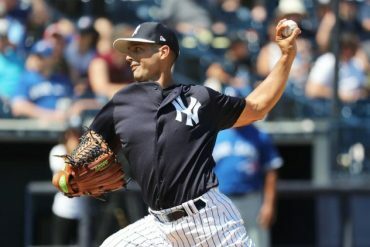 Rivera’s final outing ensured he would finish with the lowest ERA (2.209) in baseball history. His Bronx career culminated with these numbers: 314 saves, 597 strikeouts, 2.46 ERA. Overall Rivera won five World Series rings, a World Series MVP (1999), ALCS MVP (2003) and an All-Star Game MVP (2013). Mo was a 13-time All-Star and led the league in saves three times. Additionally, Rivera won 82 games, appeared in 1,115 games, starting ten of them and finishing 952 of them, with 652 saves. Mo also struck out 1,173 batters, with a career-high of eleven in a start in 1995 at the Chicago White Sox. Those numbers are impressive until you exit the regular season and enter the postseason. Facing 527 batters, Rivera yielded just two (Sandy Alomar Jr. 1997 ALDS and Jay Payton 2000 World Series) home runs. Appropriately, Rivera (like his number) registered 42 playoff saves. In 96 such contests, Mo posted a record of 8-1, a microscopic 0.70 ERA and 110 K’s, in 141 postseason innings. 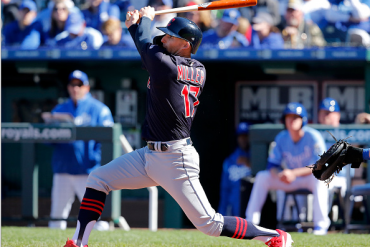 All of this coming in an era of explosive offense and playing in a fiercely competitive American League East. 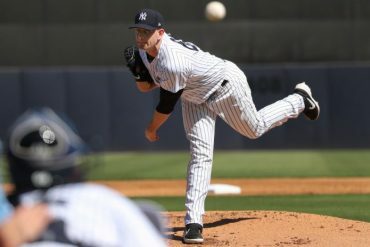 Back in 2013 when I was putting together my top 100 list of minor-league baseball players in the Capital Region, I was deeply deliberating and hedging between Mariano Rivera and my favorite player Derek Jeter. Reflecting on that decision now, I couldn’t have picked out a better person and player to close out that list. Congratulations on a brilliant and remarkable Hall of Fame career, Mariano. We’ll see you again by the airport in Colonie, on your way to Cooperstown.